In this ACT math practice test online 2,we give the questions whose qualities are in high standard and practicing these questions will definitely make the students to reach their goal in ACT. Let us practice some ACT math questions. Mr. Daniel is paid $1500 salary. He spends 20% of the salary for his kids education, 35% for food, 15% for miscellaneous and he saves the rest. How much money does he save? Let "x" be a real number which satisfies the relations (2x-5) > 2 and (3x+3) < 18. Which of the values can "x" take? The retail price of a particular product is $3.00 per unit. What is the price of half of a box, if one box contains 42 units of the same product ? 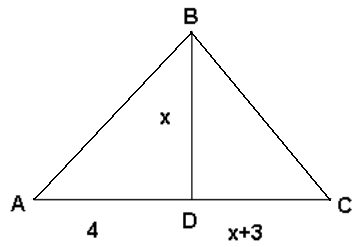 In the triangle given below, BD is perpendicular to AC. If the area of the triangle ABC is 30 square units, then find the area of the triangle DBC ? What is the ratio between the area of the square and circle given below? 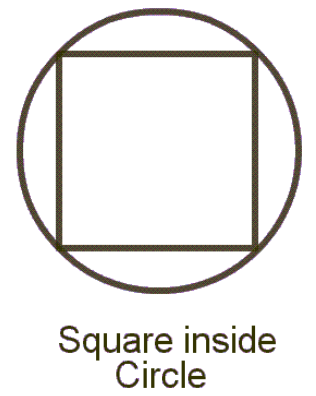 A square, a rectangle, a circle and a trapezoid are given. If we select one figure randomly, what is the probability that the figure has four right angles ? If the two lines y = mx + b and 2y + x = 8 are perpendicular to each other and both the lines are passing through the point (2,2), find the value of "b". This "ACT math practice test online 2" would be much help full for the students to face ACT math and secure good score. Because the above questions are prepared based on the previous ACT math questions. To check your answer for each math question given above, you have step by step video tutorial.